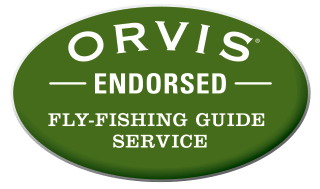 Beautiful countryside–unbelievable rivers–the best fishing ever and 100% dry flies–golf on world class courses.It just does not get better than this. Just wanted to drop you a line to let you know how much I enjoyed our fly fishing trip with you last year. The St. Mary’s and the Bull were both beautiful settings, with only our group to be seen, we had the entire area to ourselves! The natural fishing with dry flies is unsurpassed in my 15 years of fishing throughout western USA, Alaska and my home area of the North Carolina mountains.Thanks so much for the wonderful experience, your personal involvement to make sure everyone had a good day, every day. I look forward to coming back for more great times soon. As if the incredible fishing and scenery were not enough; Lou is one of the most enjoyable guides I have ever fished with. He is knowledgeable, enthusiastic, and fun to fish with. He knows were the fish are, how to put you on them, and cares that the client enjoys himself. Our group has traveled all over North America and the fishing experience here is as good as it gets. The rivers around Cranbrook BC have got to be the best places to fly fish in North America. And nobody knows those rivers like Lou Musso. The scenery was dramatic and peaceful, the company was always entertaining, and the trout were something special. The best thing was, Lou knew exactly where to find them. It doesn’t get any better! Lou knows the river and he is fun to fish with. Our group has wet flys all over North America and the Bahamas and St. Mary’s River is one of the top five destinations. You can’t go wrong with Lou and his staff.